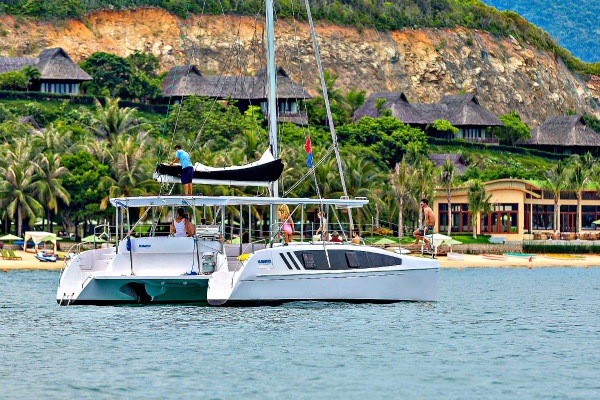 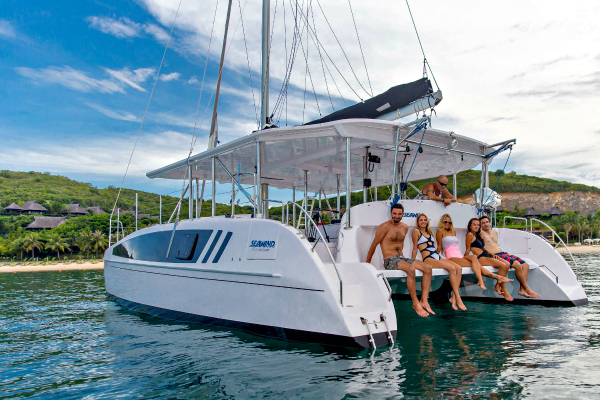 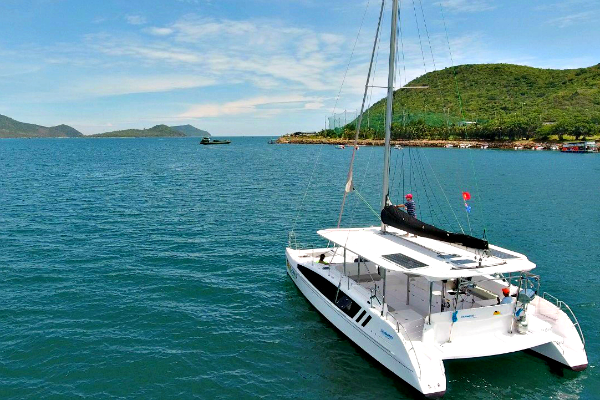 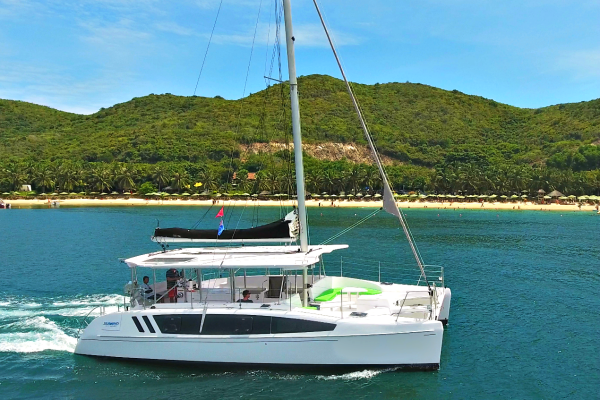 Varuna is a Seawind 1160 Resort 38’ charter catamaran that packs a punch, with the ability to carry up to 40 passengers. 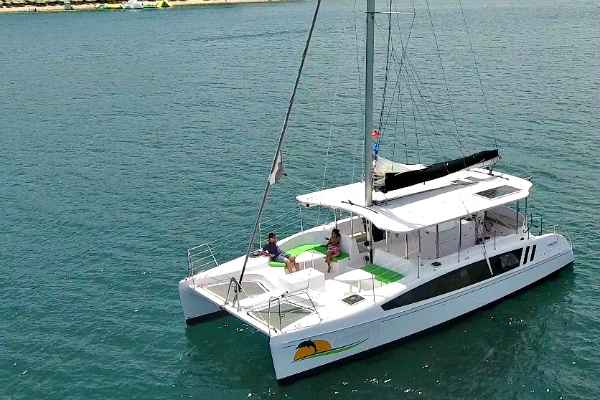 This innovative charter boat is designed for harbour sailing, whale watching, scuba/snorkeling excursions and party bookings. 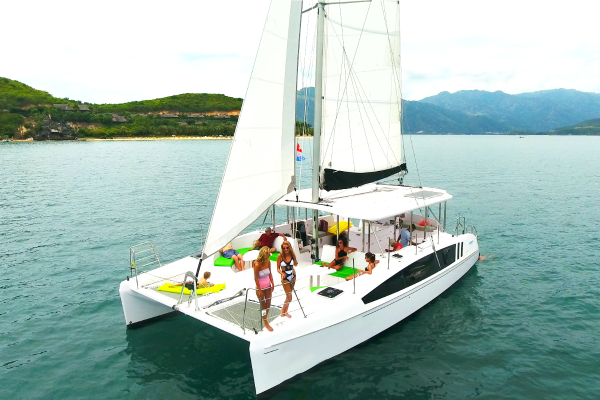 Her design highlights some unique new features on a boat of this size including the fully covered cockpit and huge open bow rider. 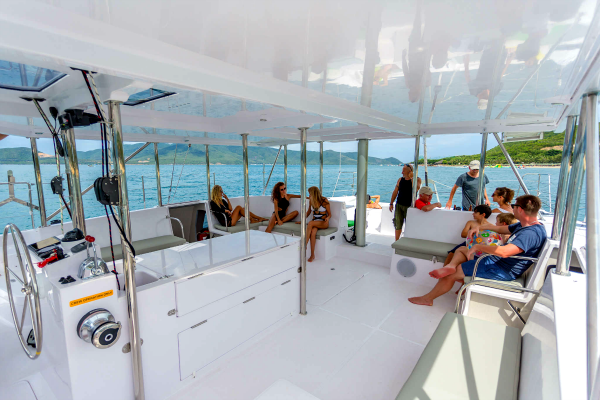 Clever use of space and seating layout – have enabled a huge passenger capacity without overcrowding the usable space onboard. 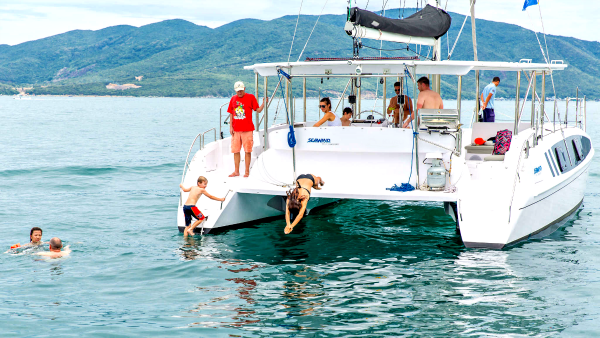 Varuna is a safe, cost effective and passenger friendly charter boat, ideally suited to day charter excursions. 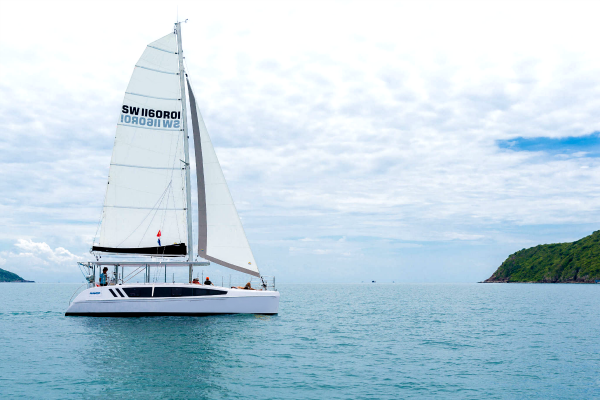 It is designed and built to meet CE and/or Australian category D surveys. 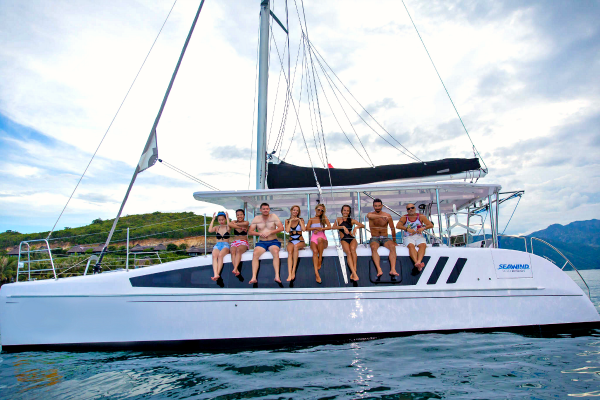 Varuna is ideal ideal for sailing around Sydney Harbour, swimming to a secluded beach or mingling with your friends on board whilst we cook your BBQ. 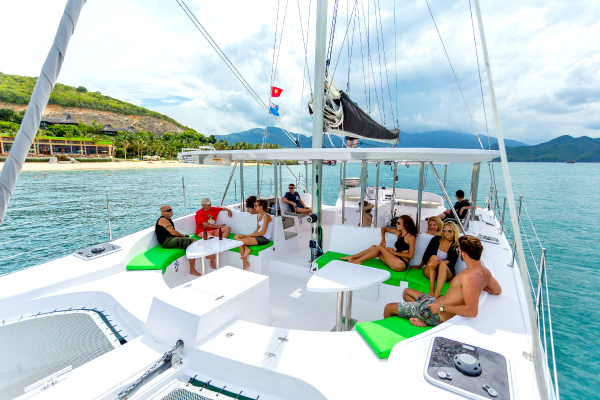 All food will be cooked by the Skipper or the deckhand on the BBQ. 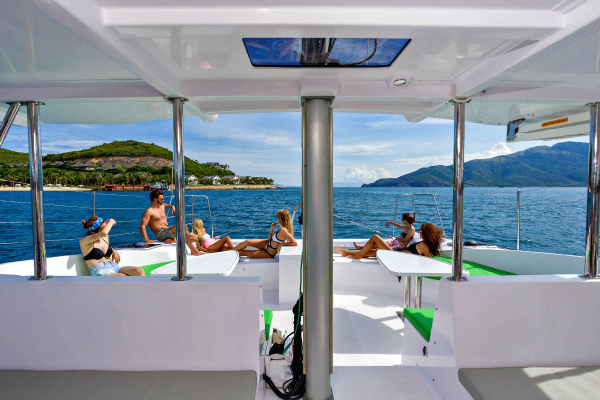 An Oven or a Microwave are not available on this boat.